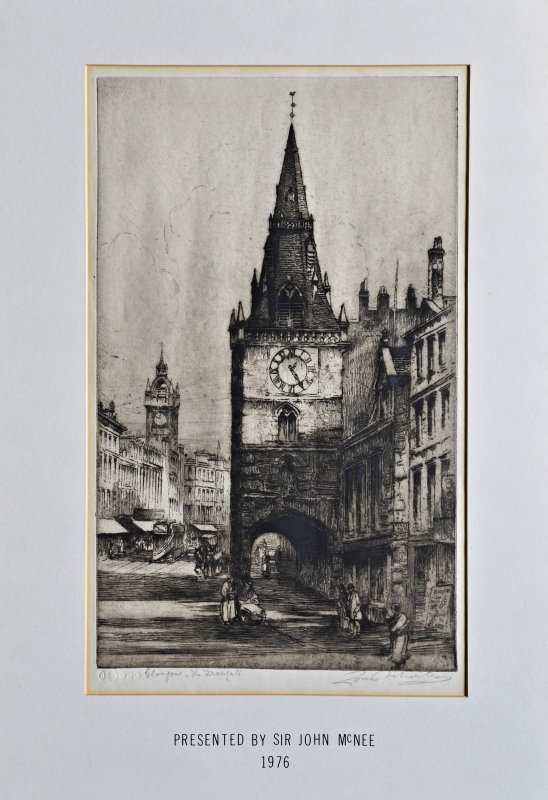 Street scene of the Trongate. Presented by Sir John McNee, 1976. Whitley, Tom(? 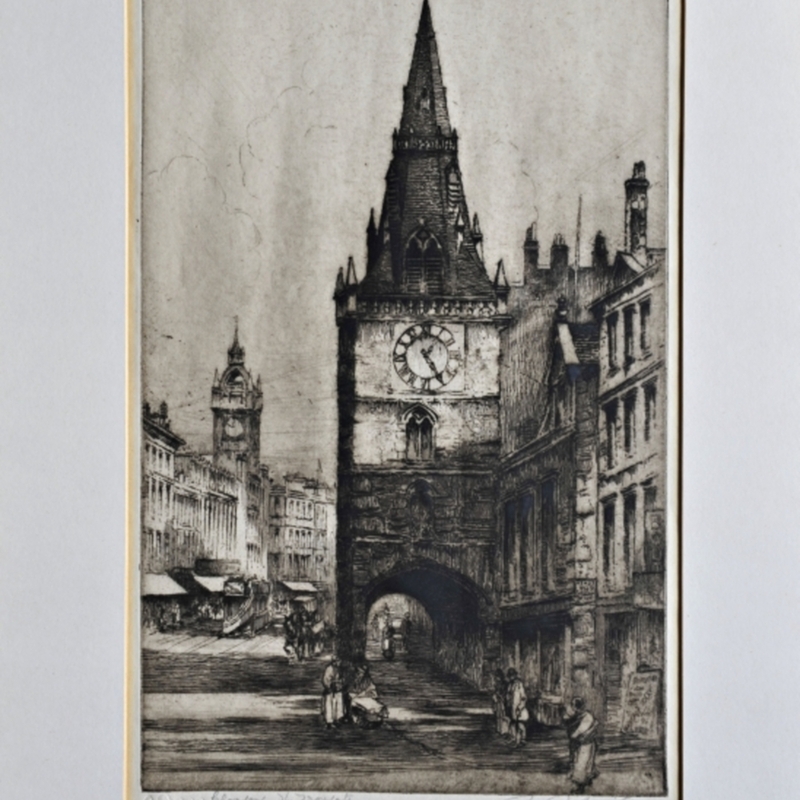 ), “The Trongate, Glasgow,” Heritage, accessed April 23, 2019, https://heritage.rcpsg.ac.uk/items/show/236. Description: Street scene of the Trongate. Presented by Sir John McNee, 1976.